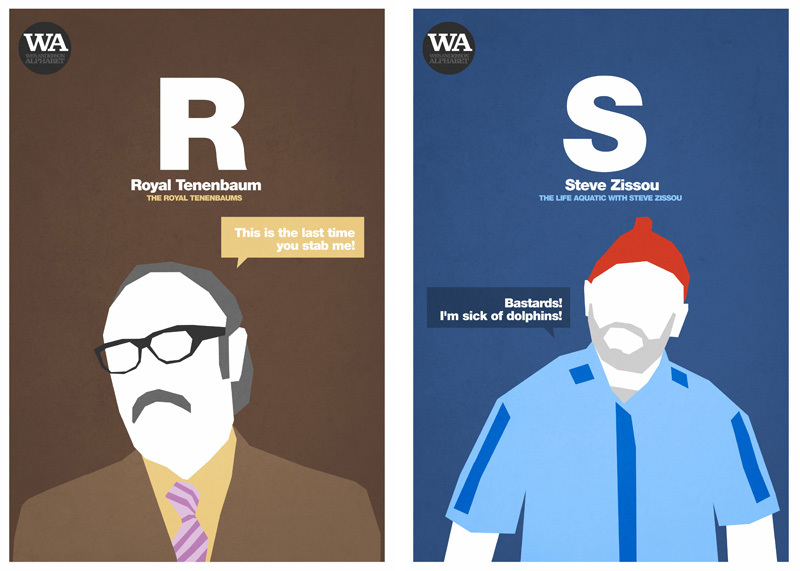 If It's Hip, It's Here (Archives): The Wes Anderson Alphabet by Hexagonall. 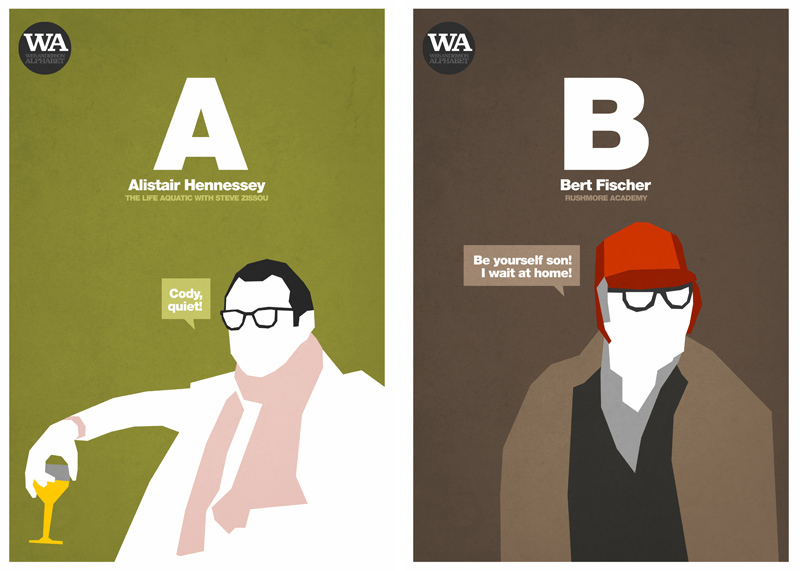 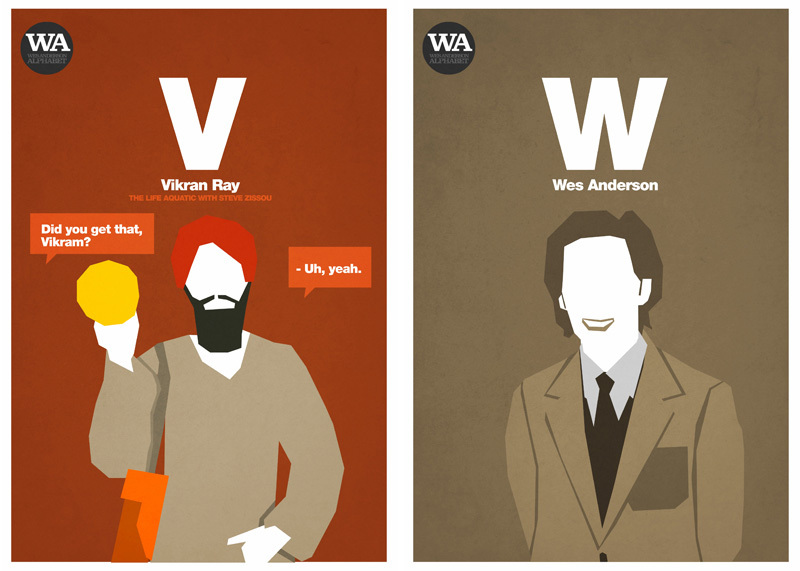 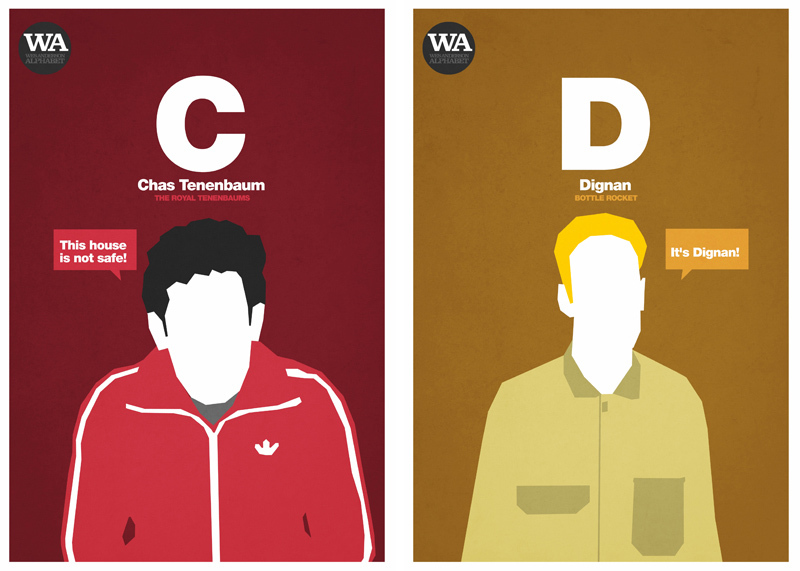 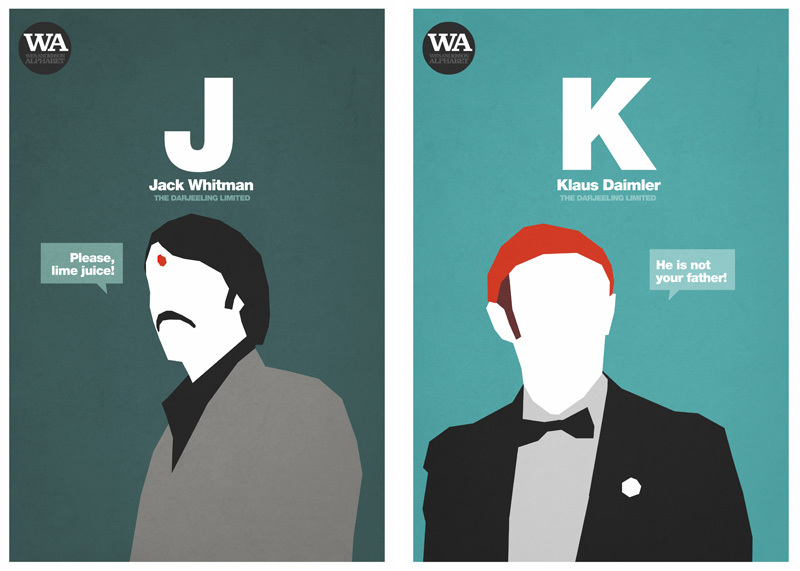 18 Minimalist Posters Based On The Cool and Quirky Characters From Wes Anderson's Films. 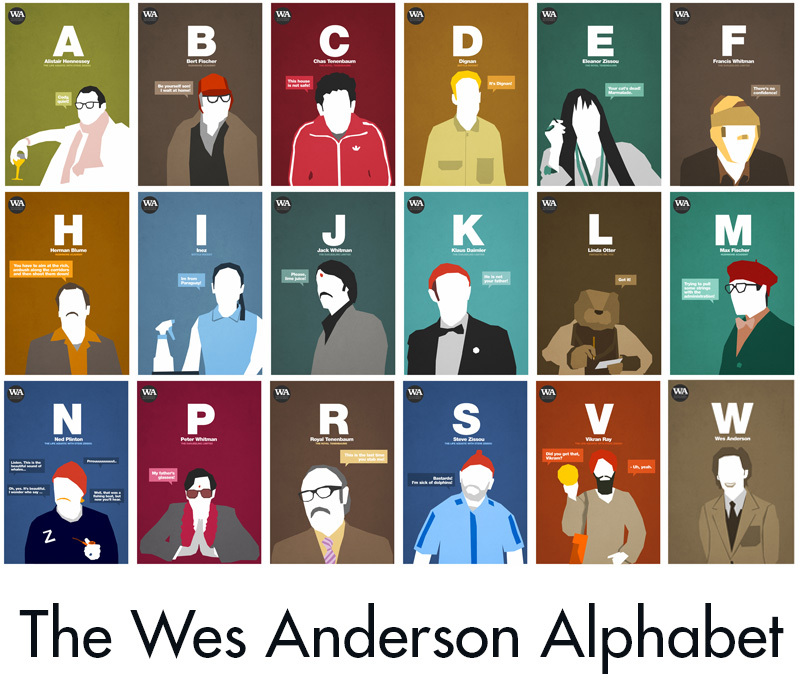 The Wes Anderson Alphabet by Hexagonall. 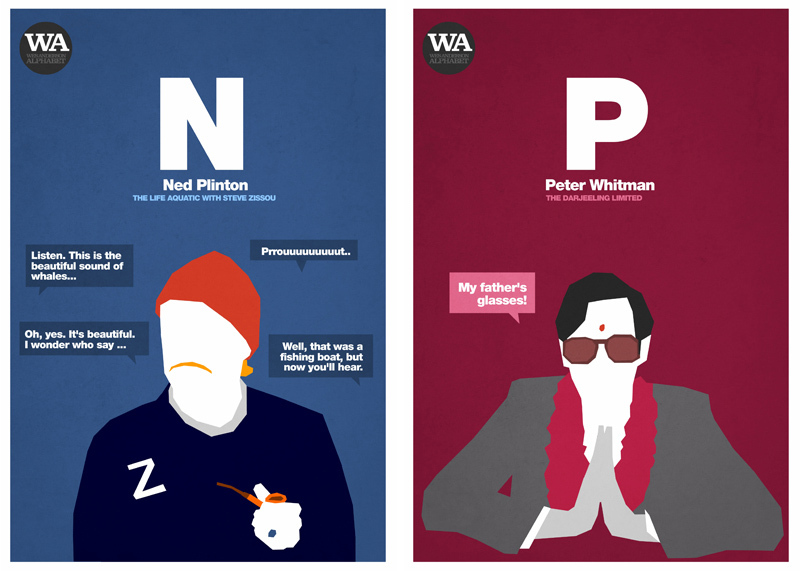 18 Minimalist Posters Based On The Cool and Quirky Characters From Wes Anderson's Films. 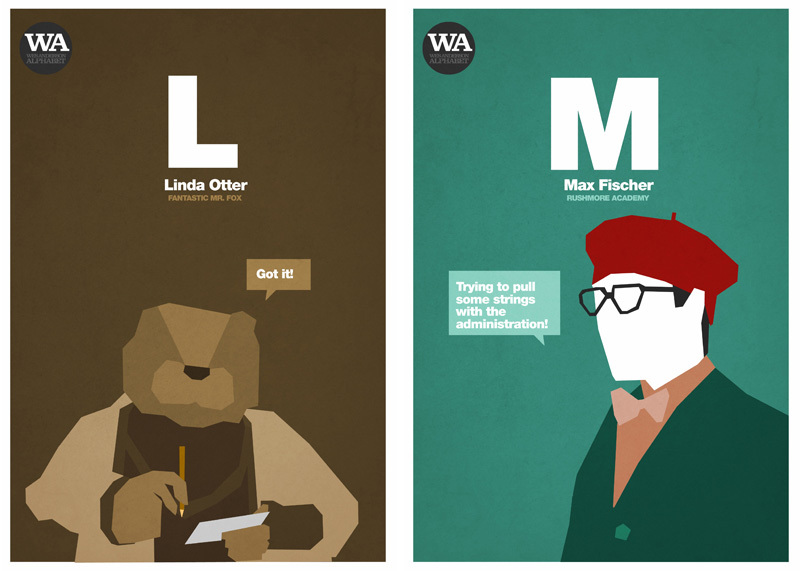 Characters from Wes Anderson movies serve as inspiration for Alphabet posters in a minimalist meets Saul Bass style by Madrid designer and Illustrator Hexagonall. There are Wes Anderson Alphabet posters by hexaginall on Behance, but in a horizontal format and fewer posters. 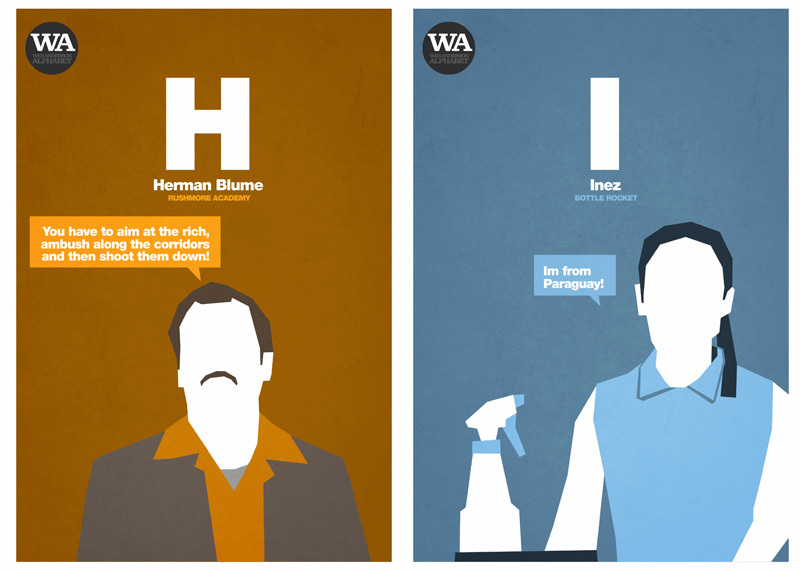 Fine concept, but I can't understand why the artist wouldn't bother to actually get the dialogue and movie attributions correct. 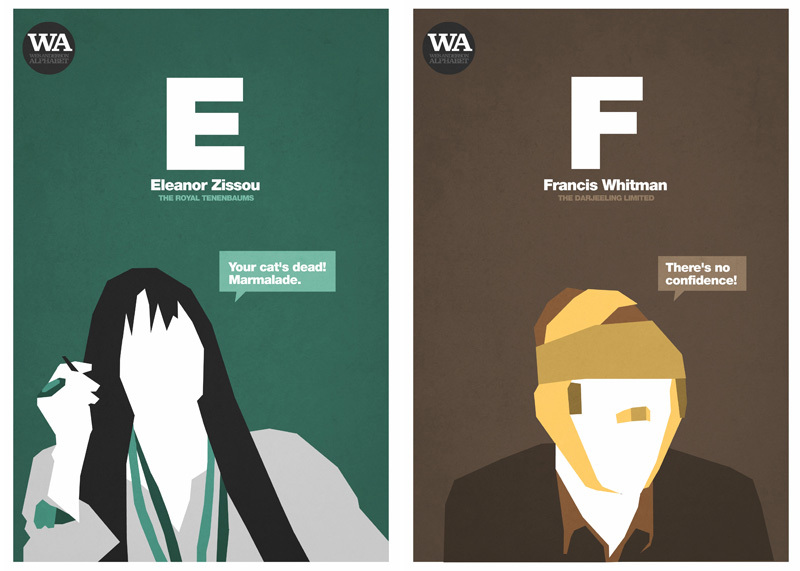 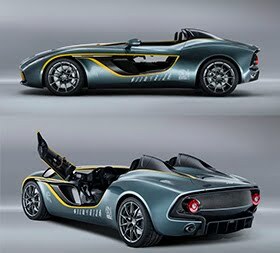 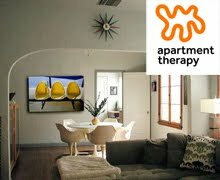 The typeface should be Futura Bold. 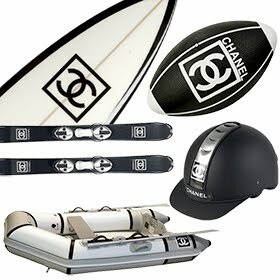 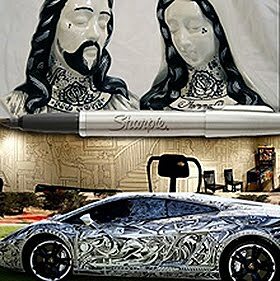 Basic stuff.